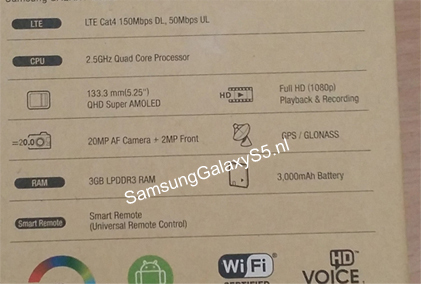 As you can see the 2.5GHz Snapdragon is confirmed but this doesn’t mean the Exynos Octa Core 64bit is not possible. Let’s not forget it won’t be the first time Samsung has released 2 different versions of a flagship. What’s exciting me is the 20MP camera which is nearly on par with the Sony Z1’s camera. From my experience, Samsung camera tech is pretty darn good so it will be no surprise if the S5 packs a punch in this respect. What do you think of the fresh rumours? Anyone itching for the Galaxy S5 yet? Note: While evidence is mounting that this could indeed be the real Galaxy S5, take everything that is a leak on the internet with a grain of salt!